Don't shoot me for a later start! 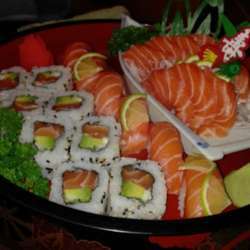 You must be a member of the Buenos Aires Sushi Lovers Group to attend this activity. Would you like to join this group? A fellow internations sybarite recommended this sushi place. Located in the Monserrat neighborhood and with more than 20 years of offering sushi and japanese cuisine handed down from one generation to the next. It is decorated in traditional fashion and is serviced by the owners. Much has been said of their “mushi gyoza”, “Nabeyaki udon” and “roll New York”. Who wants to join me and give them an Internations rating?